Home » FAQ » How many cleaners can I expect and how long will it take? How many cleaners can I expect and how long will it take? Comments Off on How many cleaners can I expect and how long will it take? 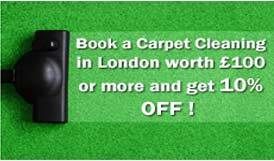 Usually our cleaning team consists of 2-3 professional cleaners in London to carry out the end of tenancy or move out/in cleaning but this may change depending on the size of the property. Our office staff can give you an idea of how long you can expect it to take and when they speak to you on the phone discussing the condition of the property, they would then give you a better idea.